The goal of our project was to partner with Misericordia Heart of Mercy and provide donations and service to help bring awareness and further contribute to their cause. Our team participated in two service events for Misericordia as well as raised donations and awareness through social media and online outlets. We hosted an event with a family-friendly movie for residents and the general public which also included other activities such as yoga, dancing, face-painting and a silent auction to generate monetary donations to Misericordia and also interact with and engage the community. 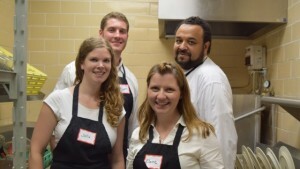 Four of our team members also volunteered at the Greenhouse Inn for Sunday brunch at Misericordia’s campus restaurant. Our group maximized online donations through the implementation of social media outlets such as Facebook, Twitter, Instagram, and LinkedIn. This social media exposure and personal networks brought significant online donations through our FirstGiving.com page as well as provided valuable awareness to the work done at Misericordia. Misericordia is a Chicago-based not-for-profit corporation serving persons with developmental disabilities. Misericordia serves more than 600 people through a wide variety of programs. 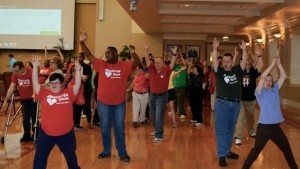 The Mission Statement of Misericordia is to “support individuals with developmental disabilities in maximizing their level of independence and self-determination within an environment that fosters spirituality, dignity, respect and enhancement of quality of life. We promote development of natural family and community support, community awareness, education and advocacy.” Misericordia offers a continuum of care based on the needs of the individual. They also offer peace of mind to the families of residents since they know their loved one is cared for in a way that will enhance their life. Donations allow Misericordia to offer more than just room and board for residents and offer them exceptional programs, such as intervention by physical therapists, occupational therapists and speech therapists. Our group was able to produce $2,795.00 in revenue and we reached 93% of our intended goal. This was amazing as approximately 70% of our revenue was generated entirely online through our personal/corporate networks and social media outreach. Through many in-kind donations and resources we were able to minimize expenses to $30 and the entire remaining balance will be donated to Misericordia. Our group was able to produce 58 hours of service to Misericordia through two service events. 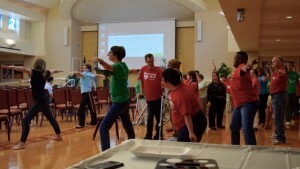 The first service event had a family-friendly movie for residents and the general public which also included other activities such as yoga, dancing, face-painting and a silent auction. At this event we had approximately 60 attendants including 45 Misericordia residents. 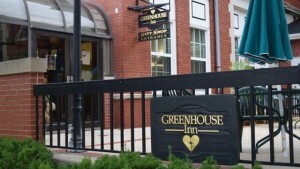 Four of our team members also volunteered at the Greenhouse Inn for Sunday brunch at Misericordia’s campus restaurant. Our group was able to produce over 175,000 impressions! Our original objective was to produce 750 likes and 3,000 reach on Facebook, 25 retweets on Twitter, 25 hearts on Instagram, and 10 snaps on Snapchat or approximately 4,000 impressions. By combining all of our social media exposure through the listed social media outlets, including LinkedIn, our group was able to far exceed our original goal by producing over 175,000 impressions. 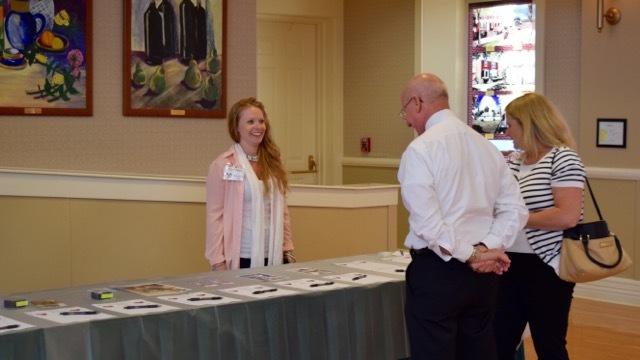 Each impression provides awareness and recognition for the valuable work Misericordia does. Defining individual responsibilities and workflows is key. By having individual ownership, everyone was held accountable and felt that their contributions were part of a collective goal. Decide on a goal or mission and stick to it. It is imperative to have a clear and attainable scope for your project. Scope creep can be easily overlooked and before you know it you have a completely different project. Have an online presence. With the various conflicts people have whether it be family, other classes, work, etc it is very difficult to get everyone in one physical location. Our group utilized Google Docs and Google Hangouts to make sure that more people are able to participate no matter where. In addition, our group took advantage of online donations as part of our online presence. Having a team mission is critical. By understanding what it is your team wants to accomplish makes other decisions much easier. For example, when venue conflicts arose our team knew that the involvement and engagement of Misericordia residents was more important and this ultimately prevented us from changing venues. Continue to monitor risk and make any updates for new risks that may occur. With so many variables in the field project it is important to have contingency plans. Having an effective risk management plan allows for your team to be proactive in dealing with future issues and have a proper response to overcome the issue. Utilize an effective communication strategy. There are many applications groups can use to make communication easier such as the app Slack. Setting some rules of communication and having a proper way of communicating allows for the group to work together more effectively. In addition, this will help eliminate some redundancies in communication such as email overload. The chief executive officer of a Florida hospital decided to go undercover. He did not shave for two days, he put on a baseball cap, and pretended to be sick. The plan was part of an effort by HCA Holdings, to find out what it’s really like to be one of its customers. He was able to see things and have the experiences the way patients do. This was done because hospitals across the U.S. are attempting to make patient stays more pleasant. Since the government is willing to give out almost $1 billion this year in bonus Medicare payments. The government will award it to those that meet Washington’s expectations. The way this will be determined is by asking patients whether their room was comfortable, if it was quiet at night, and how well their pain was controlled. Estimates of how much hospitals may get aren’t yet available, but high evaluations could mean millions of dollars for hospitals. “Asking patients directly is the best way to measure care,” says Patrick Conway, chief medical officer for the Centers for Medicare & Medicaid Services. It may not lower death rates but it may at least result in better bedside manner. The Cleveland Clinic use noise meters to make sure the hallways in the hospital are quiet at night and they do role-playing for doctors to improve their communication skills with patients. HCA is encouraging hospital executives to pose as secret patients to spot flaws that could lead to low rankings. All this effort is in hope to may make patients dread hospitals less. It is important for this to be achieved because they are providing a service in hope that the patients expectations are exceeded. It does not always need to be achieved by having an illness cured but the ease and sensibility of the procedure is very important. Therefore, to me empathy is one of the most important service dimensions out of the five, when my dentist told me I had to have my wisdom teeth surgically removed I was afraid of the procedure since it would be my first surgery. In seeing my reaction the dentist communicated with me that everything would be fine and the way he spoke to me made me feel that he cared about how I would feel in his chair, making me less afraid of my procedure. Overall I believe hospitals should improve their service so it is a pleasant experience from the moment you enter to the moment you step out. What are some things you wish hospitals would improve? 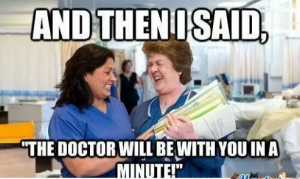 Have you had any bad experiences at hospitals? Which of the five service dimensions are most important to you? Costco is now selling Tiffany replica rings but at the Costco price and this is causing Tiffany to file a multimillion-dollar trademark suit against Costco. 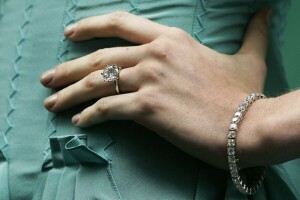 A women on WeddingBee.com asked her blogger readers about what where their thoughts on jewelry from Costco, most women said that they would not mind a ring from Costco but they would not be entirely for it. Some of the responses included, that they only saw Costco as a grocery store and never thought about buying a ring from there, another response was that she had thought about buying a ring from Costco but was concerned when people would ask where she got the ring. On a Good Morning America episode a Tiffany diamond and a Costco diamond where both appraised. The $16,600 Tiffany cut was 58% more expensive than its $10,500 value, and the $6,600 Costco ring was 17% under its evaluated value of $8,000. What allows Tiffany to have their prices $6,100 above the evaluated price is what the international recognized blue box means, Quality. Conformance- When you buy an engagement ring at Tiffany’s you buy something that Tiffany has ultimately guaranteed that it will meet the specifications of your loved one. Reliability/Durability- Since it is a prestiges company that has spent many years building, you are assured with all the paper work that the ring you buy will have a useful life and a consistency of performance through out it. Service- Once a ring is purchased, it can be returned for cleaning or resizing at any time. Response- The jewelers have face to face interactions with their customers about the different kind of cuts and qualities of diamonds so they choose the best diamond for them. Aesthetics- Every piece of Tiffany’s is a renowned design and over the years there have been a select number of designers to create exclusive pieces just for Tiffany. Reputation- Tiffany has spent years building a reputation for themselves, with the help of many stars and the classy Audrey Hepburn endorsement raises not only the price of its jewelry but the reputation of the little blue box. My parents own a jewelry store and I notice how peoples meaning of quality differ all the time. The one difference I constantly get from customers is the preference from 10kt and 14kt. Many people have had problems in the past with 10kt or have heard stories that created a bad reputation for 10kt. Although I explain to the customers how gold has changed and how 10kt is now a better quality the reputation and the durability of the past remains. Is $6,000 more worth getting a lifetime of sizing and cleaning? Is the name Tiffany worth $6,000 more? If you found a similar ring to Tiffany’s at Costco with the same quality diamonds, would you still purchase the above evaluated Tiffany ring? In 1948, the McDonald brothers re-organized the drive-in and completely restructured food delivery by focusing on quick and efficient “Speedee” self-service system which lowered prices as well as increased speed and volume of sales. Now, the McDonald’s Golden Arches logo can be seen throughout every continent except Antarctica and is one of the most recognizable in the world. 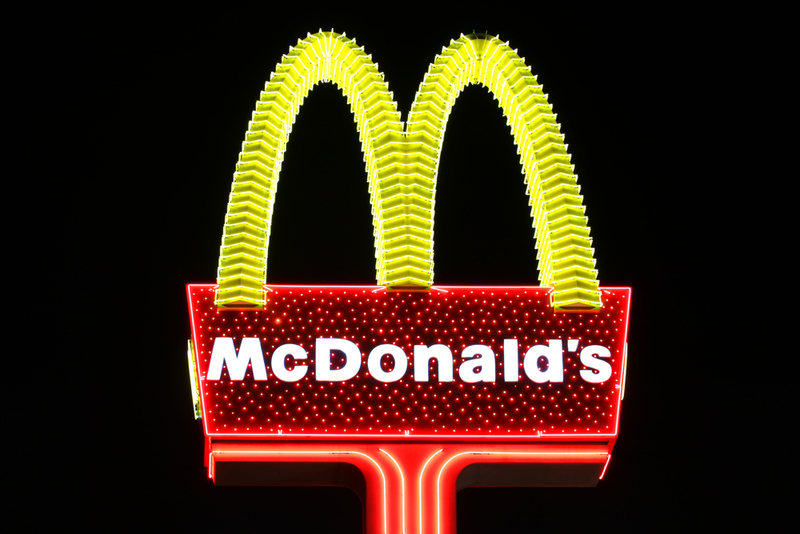 McDonald’s Corporation remains to be the world’s largest restaurant chain focused on providing cheap fast food and delivering quick service to their customers. However, the fast-food giant has been struggling with falling sales due to a vast number of complaints with its service. According to the Wall Street Journal, McDonald’s customer service is “broken,” because too many customers complain about the speed of the drive through, chaotic service, and unprofessional employees. Slow service and inaccurate orders are known to be caused by management problems. Main reasons include employees being only trained for specific job tasks, lack of communication among fellow employees and poor wages. These problems lead to an increase in employee turnover and according to Wall Street Journal, McDonald’s Corp. contribute to 60 percent turnover rate. Furthermore, customers are outraged by rude or unprofessional employees and leave restaurants disappointed after experiencing chaotic service, which contradicts its traditional practice of “service with a smile”. It is clear that customer satisfaction has a great impact on sales. What are the solutions to these management problems? First, McDonald’s new leadership has decided to focus on customer satisfaction to expand its brand name. The company will evaluate its performance through restaurant inspections, and conduct customer and employee surveys. The biggest change or improvement will be with the incorporation of the new “Dual-Point” ordering system. This will provide a simple and better service along with improved order accuracy. After the customer orders, he or she will be handed a receipt with a number and that order number will then appear on a screen and the customer will pick up his or her food at the other end of the counter. The “runner” will take on the responsibility of fulfilling requests and making sure the customer is satisfied with the order. Finally, the dedicated employee who delivers the food will thank customers and encourage them to come again. In addition, new software has been installed to help managers decide the optimal number of employees to have on staff within a time frame. Also, the new management structure will designate managers to each area of the operation in the restaurant for efficiency. At the end of the day, by enacting these new changes to its management, McDonald’s Corporation hopes to win back its customer with improved customer satisfaction and encourage them to keep coming back for more. There are number of restaurant chains that already carry out the new ordering system, will the new “Dual-Point” ordering system improve overall customer satisfaction for McDonald’s Corporation? If you were part of the McDonald’s operations management team, what other implementations or suggestions would you incorporate to boost sales? “Tails” is the regions first all natural pet food brand that has been officially launched in February 2012. Their aim was to provide healthy pet food that is free of preservatives, added colors and flavors as well as the use of 100 percent natural human grade ingredients. They club their services with the Highest Quality, the Best Customer Experience and Value for Money. i was fortunate to meet with the owners, in class we talked about all the different forecasting techniques and determined when it was best to use each technique. But what do you do if you had no history/data to use? Well in this particular case there was no entity in Bahrain that actually registers or even keeps track of Dogs in Bahrain. The owners did alot of research and found that the only entity closest to giving them information was the airport customs office, and they only recorded how many dogs came into Bahrain and how many dogs went out. Moreover they started to get samples and estimates from vets. And the final number they came up with somehow met their expectations and they were comfortable with getting even 10% of it. Within a four month span, sales at Tails has doubled . This led to a bottle neck in their production ( remember the paper puppet activity?) , the machines they had were not able to package and seal fast enough to meet the demand of their customers. They tried to overcome it by cooking more on and storing it but they did not have enough storage capacity to meet this unanticipated demand. to overcome this Tails had to quickly invest in new machines that will be able to seal and package faster in order to meet the demand of their customers, gives more flexibility on variety and size, and to start distribution to supermarkets. Tails are slowly keeping up with their demand however it has been stressful for them because they were not able to accurately forecast. So i leave you with a thought : how do you forecast with no data? and which forecasting method should Tails use today in order to help them predict their future sales? For more information please visit www.tails.co to get your free dog food sample today!